Thanks to Liam I got around in Cork city again and at the end of the afternoon he personally brought me to my next hosts, the McCaffrey family, in Coachford. This morning I woke up at 8.30 am, ready to hit the road again. At the Dunmanway cottage I said goodbye to Christine, who went off to work again. I thanked her for her hospitality and for letting me stay more than one day. She liked my company and she was sure Molly the dog would miss me when I am gone. After a cereal breakfast, Liam and I packed the car and he took me with him to his office in Cork. 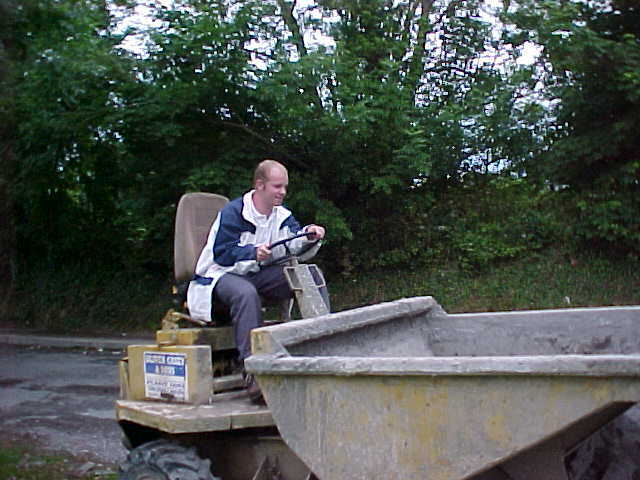 I had arranged with my next host that he can expect me in his town Coachford around six o�clock, so as Liam was working, I walked around the centre of Cork. It startled me that there is so much light-commercial activity in Ireland. Every street has an enormous amount of little shops, hair dressers, banks and pubs. A thing you definitely won�t see in The Netherlands, exept in the main shopping streets in the commercial centres of Dutch cities. In Holland most local bakers and butchers have difficulties in fighting up to the big super-markets where you can buy everything, from little groceries to computers and bicycles. Most of the little shops give it up, leaving empty stores where streets used to be full of liveliness. As it started to rain down a grey sky near the end of the afternoon, I duck into an Internet caf�, where the guy who was monitoring the computers recognized me. �Jeez, you have woken up the Irish around here,� referring to all the critics in my message board. �Yes,� I said. �Choose a computer and have fun,� he told me. I was very grateful to this gesture and I spent some time online. After Liam had finished his work, he took me up to Coachford. Coachford is such a little village, that waiting for a hitch - or even any traffic - to that destination could just take me too long. Liam dropped me off at a crossing, where all four roads came together. This is Coachford, together with a lot of farmhouses spread in the surrounding country. I also thanked Liam with a vast hand shake, especially for showing me around the south of Ireland so much. He is a very reasonable and fine man and has given me some good advices the last couple of days. 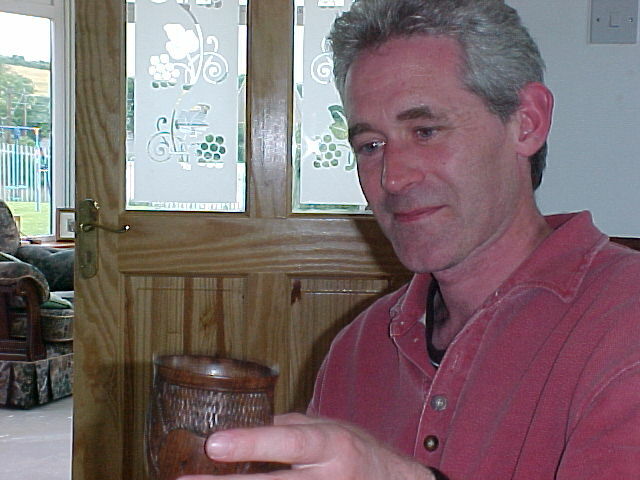 As it was just 5am, I walked into one of the four pubs on Coachford�s crossing and had myself some refreshments, with some Irish Punts that Liam had donated me for on the road. 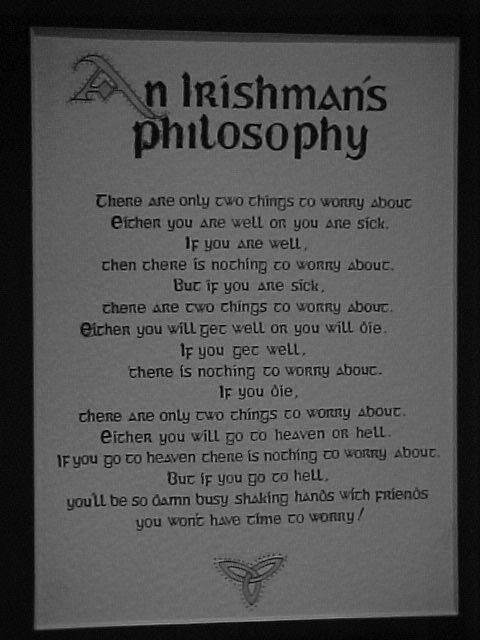 In the pub I noticed the Irishman�s Philosophy behind the bar and I asked the barman if I could have a closer look to it, because since this week this really interests me. The man worked hard to remove all kinds of memorabilia and decoration to be able to reach the right frame. I read it closely and was quite amused by it. The locals who were visiting the pub at that time also wanted to read it, because they had never seen it this good. However they either talked Gaelic or English with a very heavy accent, most of them agreed with the philosophy. When one of the costumers asked me what I was doing in Coachford with my heavy backpack and my camera, I told him about my project. Good question. �As it is part of the world, it is worth visiting,� I told him. The barman thought some seconds about that answer and was finally satisfied with me. 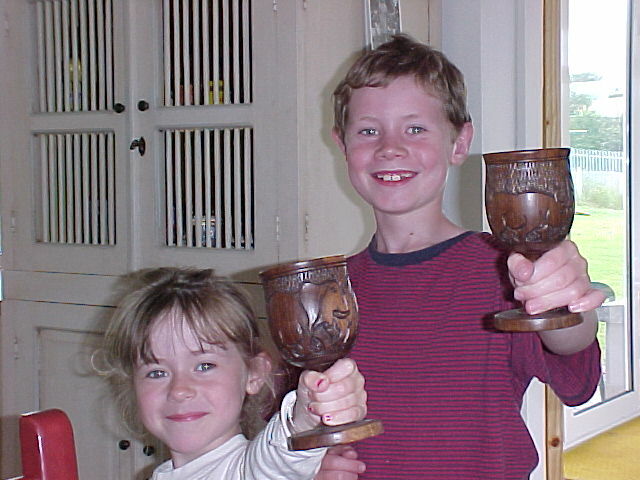 He awarded me another pint of coke. 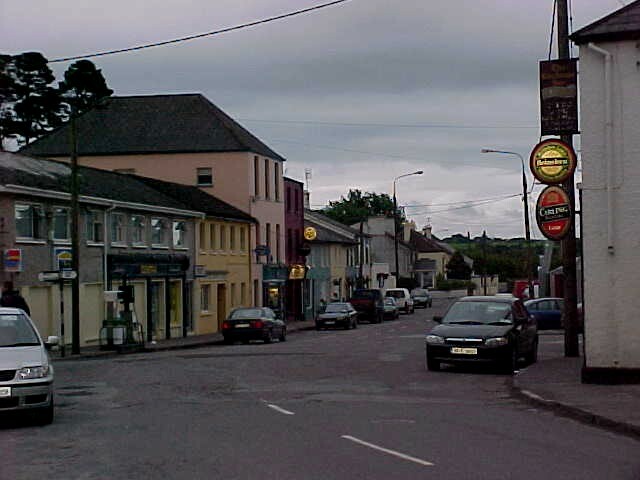 �Welcome in Coachford,� he said. At 6 pm sharp I walked upon the lawn of John McCaffrey�s house in Coachford, just up a little hill, some 100 yards of the crossing. John saw me walking up the entrance and welcomed me openly into his big family�s house. I met his wife Martha and said hi to the kids. With a drink in their dining room we spoke about my project and my travels. John had read about it in the Evening Herald of Wednesday June 27th. They cherished the simplicity of my idea and I had dinner with them. Martha had made goulash with potatoes and the 6-year-old Megan had helped with the balls in it (forgot the name for it). �My dad�s said that you are famous,� the little lady said. I grinned a bit about that and I didn�t really exactly know what to say to that. In one way I am mentioned as famous � on the Internet, but in real life I am still Ramon. 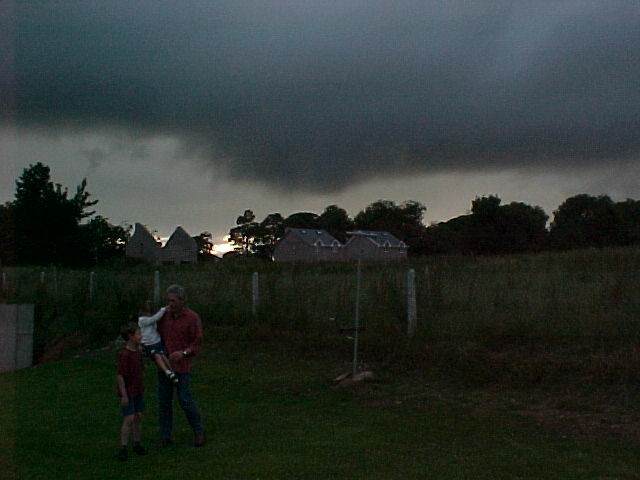 After dinner it got rather dark outside as a grey cloud covered the sky, giving a marvellous view in their back garden. As John�s hobby is painting, he really need to make a picture of that, maybe he�ll use it for a work of art in the future. 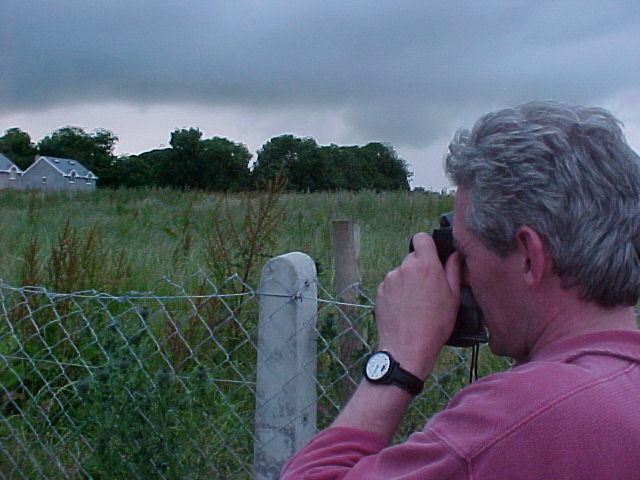 It was not raining, so John liked to take a walk through Coachford. We walked upon to the sport centre of the Gaelic football association. And just at the moment as we arrived between the gathered public around the fields, the final whistle was blown by the referee. So unfortunately I only saw the men drawling off the field, completely out of breath. The public got in to their cars and drove off. Back at the centre crossing, we walked along the four pubs that Coachford has. It was very quiet at that moment, but John told me that in the weekends almost everybody from the surrounding villages comes over and that all the pubs would be fully crowded. During the week it always is tranquil. When we got back to the house, the kids went to bed and I spent de rest of this calm night watching the end of Stanley Kubrick�s Full Metal Jacket on Irish Television. During this movie John told me about the sister of his grandmother. She worked in the kitchen of the American White House while Harding, Coolidge and Hoover (1921-1933) where the presidents of the United States of America. I thought that was very amazing to say that about your own family. I was quite impressed. After the movie I said John and Martha goodnight and got up to the guestroom where I would be sleeping this night. It was a very nice room, it could even be an hotel room, and had its own bathroom! Impressed and thankful for it all, I fell asleep. Tell a man that there are 400 billion stars and he will believe you. Tell him a bench has wet paint and he has to touch it. - Unknown.